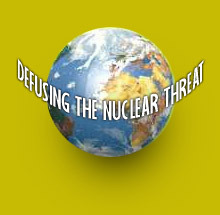 Welcome to the home page of Defusing the Nuclear Threat. In less than five minutes, it will introduce you to several innovative approaches to help resolve the nuclear dilemma: The United States cannot unilaterally eliminate its nuclear arsenal, nor can any of the other major powers. Yet continually threatening to destroy the world can only lead to disaster. Reading this page will take you just a few minutes. But, by the end, you will see how a few simple actions on your part can play a key role in defusing the nuclear threat. (See "What can I do to help?" at the end of this page, particularly signing our petition asking Congress to authorize a study of the nuclear risk.) Of course, there's much more that will need to be done – defusing implies a step-by-step process. But, "the journey of a thousand miles starts with a single step," so let's get started! How risky are nuclear weapons? Isn't the Cold War over? What role can an individual play? Imagine that a man wearing a TNT vest were to come into the room and, before you could escape, managed to tell you that he wasn't a suicide bomber. He didn't have the button to set off the explosives. Rather, there were two buttons in very safe hands. One was in Washington with President Obama and the other in Moscow with President Putin, so there was nothing to worry about. You'd still get out of that room as fast as you can! Just because we can't see the nuclear weapons controlled by those two buttons, why do we stay here? As if confronted by that man, we need to be plotting a rapid escape. Instead, we have sat here complacently for over 50 years, trusting that because Earth's explosive vest hasn't yet gone off, it never will. If you agree that it's high time we stopped sitting around and started solving this problem, please read on. While the risk of a full-scale nuclear war is now less than during the Cold War, nuclear proliferation and nuclear terrorism have added dangerous, new dimensions. 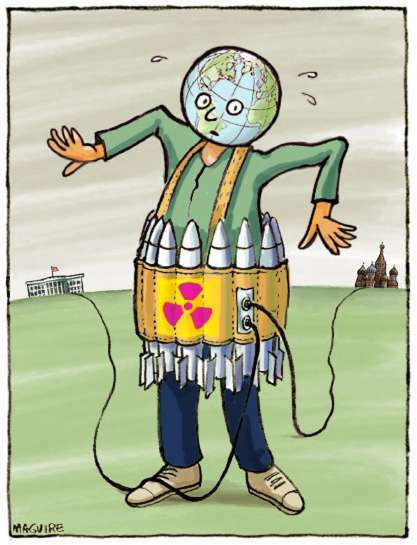 To be accurate, the story about the man in the TNT vest should have additional buttons in London, Paris, Beijing, Jerusalem, New Delhi, Islamabad and Pyongyang – each with the potential to set off the Earth's explosive vest. Nuclear proliferation is a growing danger, especially considering that India and Pakistan fought wars in 1947, 1965, 1971 and 1999, and India suffered a major attack by Pakistani-based terrorists in November 2008. Just those two nations have enough nuclear weapons to cause unprecedented damage to the global ecosystem, and such a regional nuclear war could spark a global conflict. Terrorists may even get their own button. Al-Qaeda has made no secret of its desire to obtain nuclear weapons and kill millions of Americans. This threat is more serious than most people realize because the components to make a nuclear bomb are not always as well guarded as they should be. Under apartheid, South Africa developed a small nuclear arsenal that it dismantled when that regime ended. The highly enriched uranium (HEU) fuel from about a dozen bombs is stored in their Pelindaba nuclear facility, which was successfully attacked and entered by armed men in November 2007. Even though it took security almost an hour to arrive and scare them off, fortunately they did not obtain any HEU. We may not be as lucky next time, and all it takes is once. Watch a chilling interview with survivors of the armed attack on South Africa's storage facility that holds enough fuel for a dozen atomic bombs. Even just the first few minutes will give you a new appreciation of the risk we face. In light of such information, it is not surprising that former Secretary of Defense William Perry has quoted the odds of a nuclear terrorist attack over the next ten years as roughly 50-50. Republican Senator Richard Lugar conducted a survey of 85 national security experts that reached a similarly alarming conclusion. Contrary to popular belief, the danger of a full-scale nuclear war did not end with the fall of the Berlin Wall. As just one example, in 1995 Russian air defenses mistook a meteorological rocket launched from Norway for an American submarine launched ballistic missile, and the Russian "nuclear football," used to authorize a nuclear attack, was opened in front of President Boris Yeltsin. Fortunately, Yeltsin was sober enough to make the right decision and this did not occur during a crisis, such as the 2008 Georgian war, when there would have been a much greater chance of mistaking a false alarm for the real thing. That war was particularly dangerous because, while objective investigations concluded that Georgia attacked first, mainstream media coverage has most Americans believing that Russia was guilty of unprovoked aggression. Reflecting this mistaken view, Sarah Palin has said that we should be prepared to go to war if Russia invades Georgia again. That event that is more likely than most people realize because some Georgian actions seem designed to bring the conflict back to center stage even though poking the Russian bear carries grave risks. The Cold War may be over, but the need to reduce the risk of a nuclear disaster is crying out for attention. Confronting the reality of the nuclear threat can be a real downer. But, there's good news too. Solving this problem is going to require making the world a much better place for us and our children. To defuse the nuclear threat, we will have to eliminate much of the ignorance, injustice and violence that lead nations to want nuclear weapons in the first place. And, you can play a key role in making that happen. While solving this problem will require action on the part of world leaders, the first key step must be taken by ordinary citizens like you and me. The 19th century French politician Alexandre Ledru-Rollin is reported to have said: "There go the people. I must follow them, for I am their leader." Any politician who gets too far in front of the crowd ceases to be a leader, so it's up to ordinary people like us to lead the way. In 1840, questioning slavery was seen as a fool's errand. In that environment, anti-slavery candidate James Birney received just 0.3% of the vote. Twenty years later, Abraham Lincoln could question slavery and still become president – but only after enough ordinary citizens had challenged the societal conviction that slavery was an immutable part of human nature. In the same way, little will change with respect to nuclear weapons until enough of us have the courage to say that the nuclear emperor has no clothes – except for that stupid vest! Ultimately, the whole world must be involved in defusing the nuclear threat. Because that goal is far beyond our current resources, we are utilizing a business technique called market segmentation that was designed for just that kind of situation. When a creative company develops a product with a potential market much larger than it can afford to reach, it focuses its limited resources on a smaller market segment, for example a single city. Only after achieving success there does it tackle the larger market, making use of the new resources gained from its initial success. 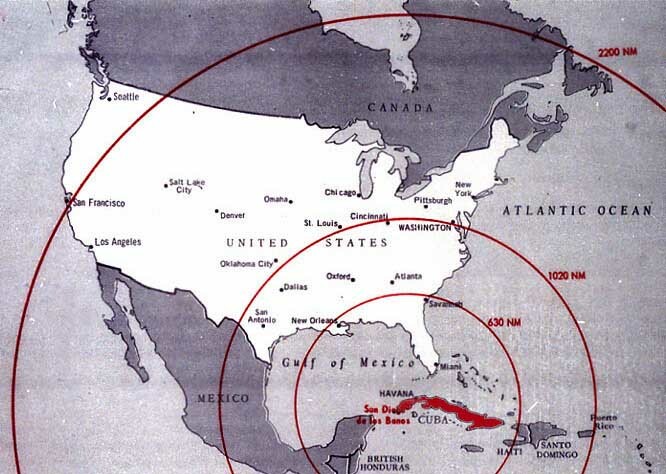 In the same way, our project seeks to form "pockets of nuclear awareness" – small, interconnected populations that give this issue the respect it deserves. By focusing our limited resources on small groups, we can accelerate the process of reaching a tipping point, after which the process spreads of its own accord within the group. This approach applies to any small, interconnected population such as a neighborhood, a church or a school. Our BUILD AWARENESS tab (or just click here) explains the idea in more detail, using the Stanford University campus as an illustrative example. Defenders of the nuclear status quo frequently point to the 67 years since the last world war as proof that any change in our nuclear posture would be far too risky: "If it ain't broke, don't fix it!" But, given that a child born today has an expected lifetime of roughly 80 years, we need to ask if those arguments are like a man jumping off the Empire State Building and, as he passes the first 67 floors, claiming that all is well. Another way to express the risk indicated by my preliminary analysis is that a child born today has at least a 10% chance of being killed by nuclear weapons over his or her 80-year natural life expectancy. Nuclear deterrence – threatening to destroy the world if we think we are about to come under attack – would have to be expected to work for 800 years to get a 10% risk. That risk is equivalent to playing Russian roulette with a 10 chambered revolver, one chamber being loaded, and the gun pointed at the child's head. And, of course, it's everyone's heads that are at risk. If the time frame for nuclear deterrence to fail is 100 years, that child's risk jumps to over 50%, equivalent to loading 5 chambers in that 10 chambered revolver. Another advantage of using the language of risk is that market research has found it to be highly effective in reaching America's "persuadable middle." The Executive Summary of that report starts on page 2, and is a valuable, quick read. Talking in terms of risk resolves many arguments about what to do. To resolve the nuclear dilemma, some say that we need to abolish nuclear weapons. Others say that we must work toward world peace, and yet others see arms control as the solution. In our approach, the goal is to reduce the nuclear risk to an acceptable level. Accomplishing that may well require one or more of those specific objectives. While many people see "nuclear zero" or world peace as unrealistic, it's hard to argue against reducing the risk to an acceptable level. One thrust of our effort is a petition asking Congress to authorize the National Academies to undertake a study of the risk posed by our current nuclear strategy. My study, which indicates the risk is equivalent to living in a town surrounded by thousands of nuclear power plants, is preliminary and needs either confirmation or correction by such an in-depth, authoritative study. The petition drive has several other advantages that are explained on that page. Mr. D. James Bidzos, Chairman of the Board, Verisign Inc.
William Perry was Secretary of Defense under President Clinton. Along with George Shultz, Henry Kissinger and Sam Nunn he is one the four principals of the Nuclear Security Project that is questioning the conventional wisdom about nuclear weapons. He is currently a senior fellow at Stanford's Hoover Institution and the Michael and Barbara Berberian Professor at Stanford University. George Shultz was Secretary of State under President Reagan and was a key figure in ending the Cold War. Along with William Perry, Henry Kissinger and Sam Nunn he is one the four principals of the Nuclear Security Project that is questioning the conventional wisdom about nuclear weapons. Sandra Day O'Connor was appointed to the Supreme Court by Ronald Reagan, and has written a letter encouraging Stanford students to become involved in this project. Sign our petition asking Congress to authorize a National Acadmies study of the nuclear risk. This petition has been signed by prominent individuals, including a four-star admiral (USN, retired) who was Director of the National Security Agency, so you know it makes sense for our national security. Become educated and reach your own conclusion. While this page has all that you really need for reaching a decision, it's always good to learn more, and the next stop is to visit our resource page. Share your concern with friends. It's the most effective way to increase awareness and, until more people understand the risk, nothing will happen to reduce it. Keep up to date by subscribing to our blog. Start a pocket of nuclear awareness. Only after that has been achieved is there hope for more global awareness. That in turn, is needed for real progress to be made on reducing the nuclear threat. Let's start realizing our ability!